The Tropical Island Combo is a 5 in 1 unit. 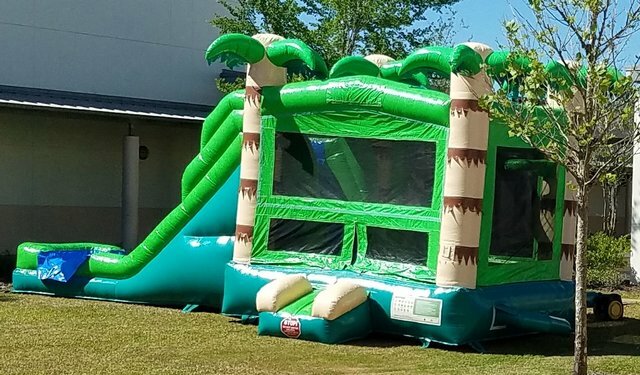 It includes a bounce house with a basketball hoop inside of it, a slide and a pool and has two obstacle polls. 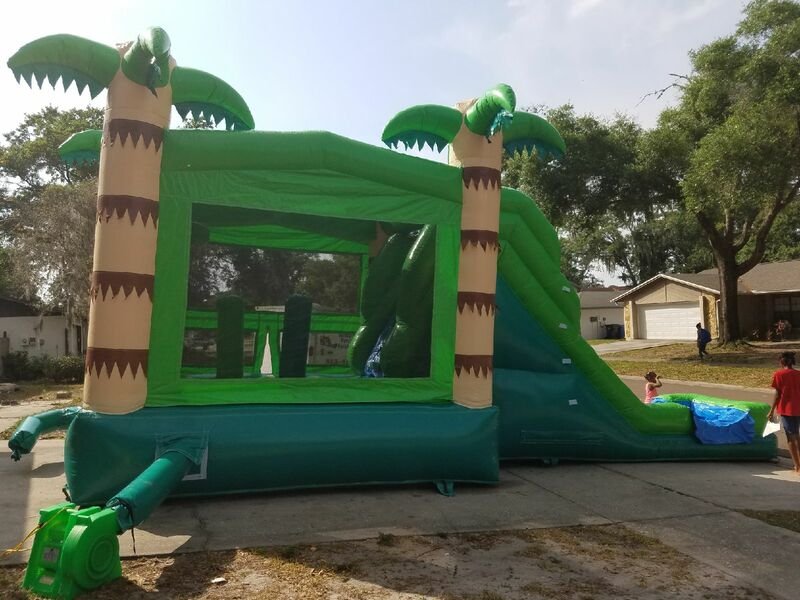 The Tropical Island Combo can be used wet or dry, and has a full 8 foot slide! 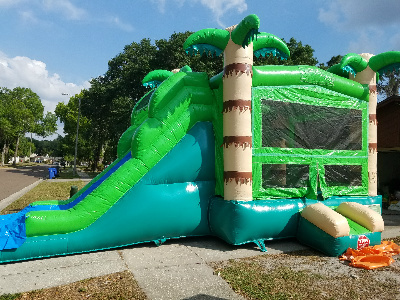 We can deliver your bounce house rental in tampa, riverview, palm harbor, ruskin, new tampa, lutz, wesley chapel, temple terrace, south tamp, east tampa, bounce house Brandon FL and ALL of hillsborough county.